These standard 90 degree V-Brake noodles are essential for mating Mini V-Brakes to Road drop bar-style levers, but they will work with any V-Brake system. 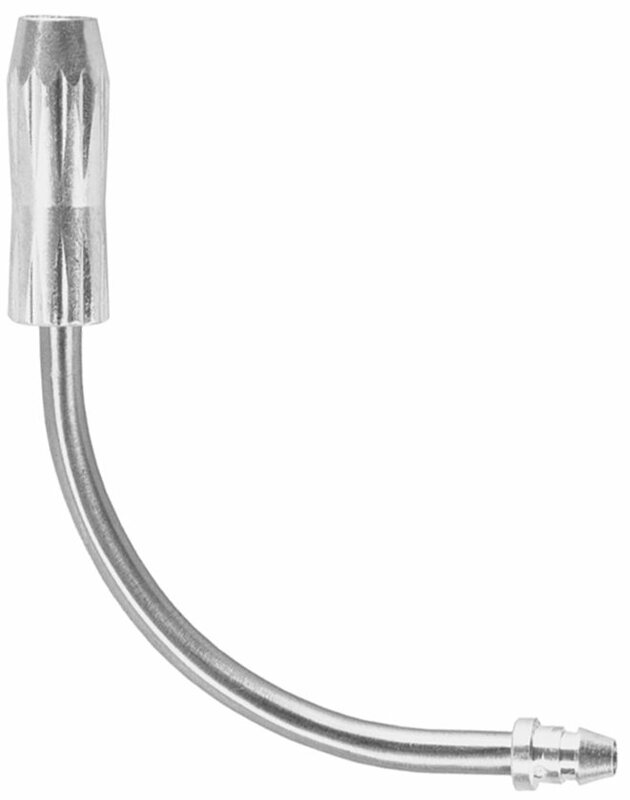 This lightweight aluminum noodle includes an easy-to use barrel adjuster for quick adjustment. Good replacement noodle that has adjustment built in. I use them on my kids bikes. Replaced the brake cable and housing on my Trek 9800 using all Jagwire material. Great stuff, easy to install, quality made! Installed these with mini-v brakes on my cyclocross bike. THe mini-v have to be installed with tight tolerances to the rim so it can be tough to release the brake. These allow you to quickly back off the tension, release the brake and reinstall with proper tolerances. I wouldn't install mini-v without them. I use it on my kids' bikes. Works great and adds another adjust point. Used these on my 'cross bike with Tektro 926 mini-v's. Even with short 80mm arms the cable pull required with my Ultegra levers was too much. I could adjust the cable to get good lever feel but then I couldn't get the brakes open to remove a wheel. If I adjusted the cable so I could remove a wheel the brake lever would bottom out agains the handlebar. With the Jagwire noodles there's a barrel adjuster so I can set the cable for good brake lever feel and just turn the barrel to open the brake to get the wheel out. If I use this with the Jagwire mountain pro brake cable housing, will a standard ferrule allow the cable to seat into the noodle? I have extra brake cable from a previous installation, but no POP ferrules, only normal 5mm ferrules. Do I need to buy some POP ferrules for the cable to fit into the noodle?